If you are looking for cool face shields, there are a lot of options. Several companies make face shields, and they can be used in multiple ways. There are so many practical applications for them, or you can just wear them as lifestyle apparel. The great news is that there are so many options, and depending on your lifestyle, you should be able to find one that you like. Some common themes for face shields are skulls, clowns, tactical, fishing, and camouflage. These are used to cover your face from sun damage. A popular way to wear them is during fishing as they have SPF protection from the sun and they help minimize wind against your face during boat rides. Many construction workers wear them as well to protect their face from dirt and debris. Face Shields are also popular for motorcycle riders as they help protect the face from bugs and other road debris. 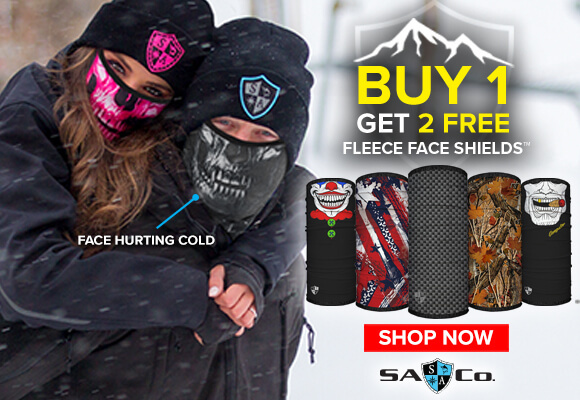 Snowboarders use the fleece lined winter Face Shields for wind protection and warmth. These are just a few examples of how to use them, and one of my favorites uses is to cover my face when I mow my lawn because it keeps dust and dirt out of my nose and mouth. Our favorite Face Shields come from SA Fishing. We have listed a coupon at the bottom of the page for a buy 1 get 4 free deal which can’t be beat. 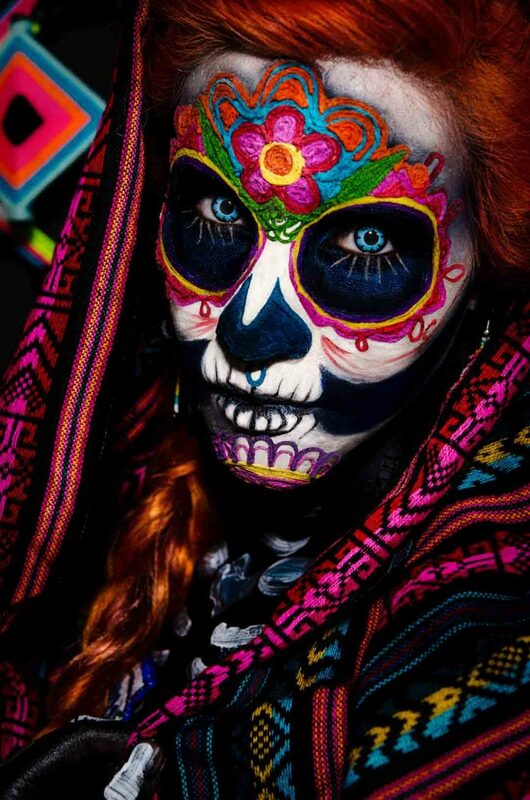 One of the most popular styles are skull designs. An example of this would this one on Amazon. You can get these in so many different looks. Of course, there is always the traditional skull design shown below. Or you can opt for a red, white, and blue skull design. 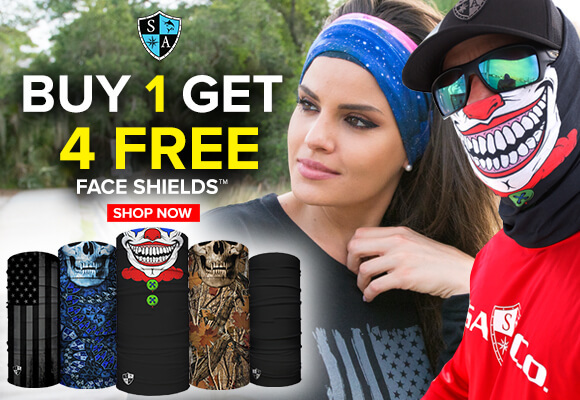 If you are looking for a skull face shield for winter sports, you are in luck! Tactical Face Shields are really no different than the others as far as functionality. They do differ in their designs though. They are mostly geared towards military colors like army green, grey, etc. When it comes to hunting, camouflage is king, and there is no shortage of camo tubular bandannas. Whether you need something to hide your face, or you need a fleece lined one for warmth, there are good options for you. When it comes to face shields for women, they get to do a little more with them. I have seen women use them in multiple ways to style their hair. They can be used as pony tail holders, or they can be used for style. There are tons of cool face shields on the market. Whether you need one for fishing, hunting, snow skiing, or riding your cycle, there are a lot of choices. Hopefully, we were able to show you some of the coolest out there. Let us know which is your favorite.